Last summer we grew we grew a few vegetables in our little garden. 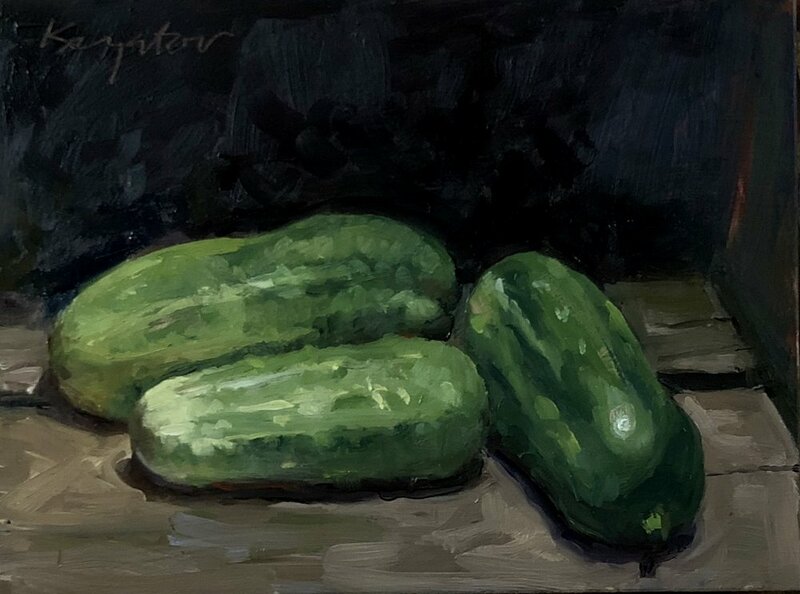 Including these cucumbers. Early on they were great but then can a blistering hot dry period. Our well could only handle a little bit of watering.. so the early guys were the best of the season. I painted this on a panel with Geneva oil paint. Which is a very loose paint with high pigments content. For me it's been hard to paint with. I found a material called Cold Wax Medium from Gamblin and thought I'd try to add some body to the Geneva paints with it. It worked! Here's an iPhone shot off the near finish. Waiting for it to dry and then a layer of glazing.